Cynthia Hand is a native of southeastern Idaho and currently lives with her husband and two small children in Southern California, where she teaches writing at Pepperdine University. She has graduate degrees in creative writing from Boise State University and the University of Nebraska-Lincoln. Unearthly is her first published novel in a planned trilogy. 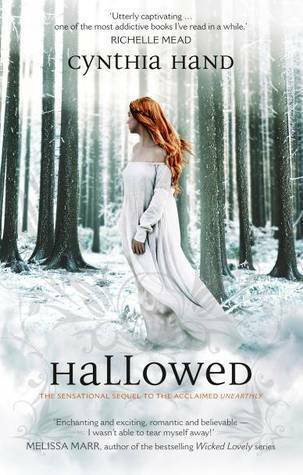 It’s sequel, Hallowed, was published on 1 January (in Australia). For months part-angel Clara Gardner trained to face the fire from her visions, but nothing prepared her for the choice she was forced to make that day. Now, torn between her love for Tucker and her complicated feelings about the roles she and Christian seem destined to play in a world that is both dangerous and beautiful, Clara struggles with a shocking revelation: someone she loves will die in a matter of months. With her future uncertain, the only thing Clara knows for sure is that the fire was just the beginning. The first thing that struck me about Hallowed was that it was tighter and flowed better than Unearthly. The characters develop well throughout the book and I felt, when I finished, that I understood them much better. 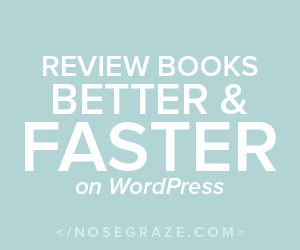 I was hooked into the story very early on, and then found myself reading large chunks whenever I was free so I could find out all the juicy secrets within the pages. The characters are not stereotypical, and cannot be pigeon-holed into typical roles. Everyone is realistic, has their motivations, vices and redeeming qualities. The author brings a freshness to the genre that I loved. This sequel has made me pine for more, and I hope the third and concluding book of the Unearthly series will be in my hands soon!